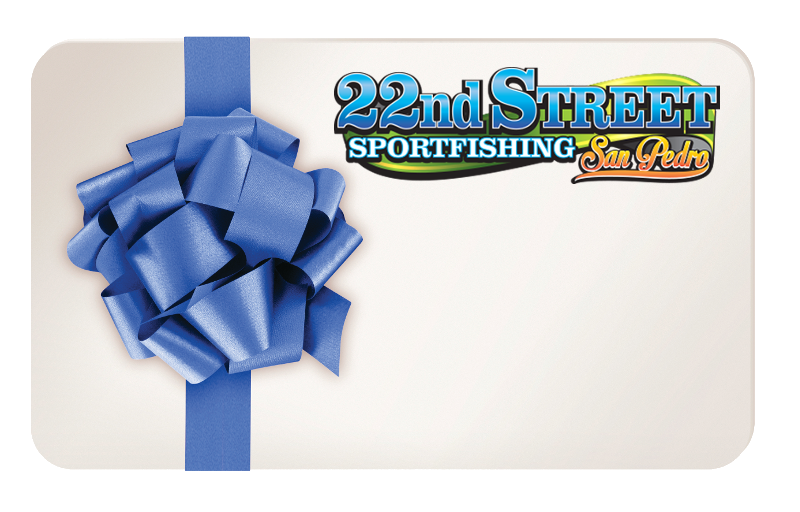 Welcome to 22nd Street Sportfishing! 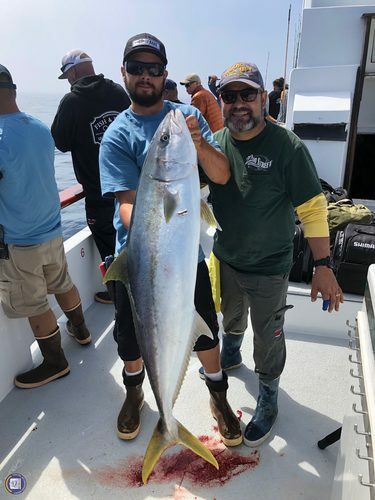 We are currently running fishing trips every day from San Pedro, CA. 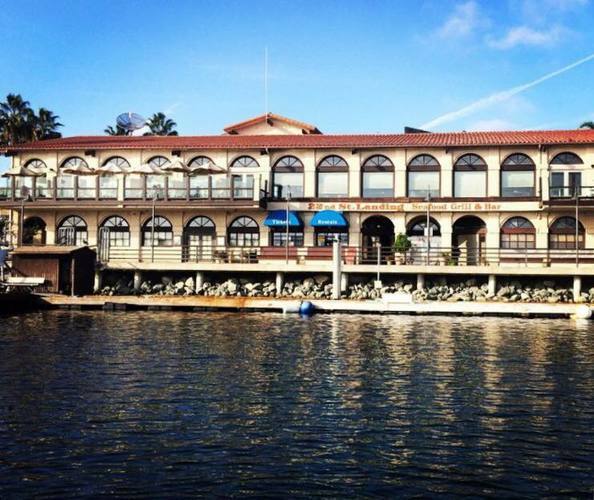 Here at 22nd street landing, our office staff is knowledgeable and friendly. They will aid with any questions you may have. 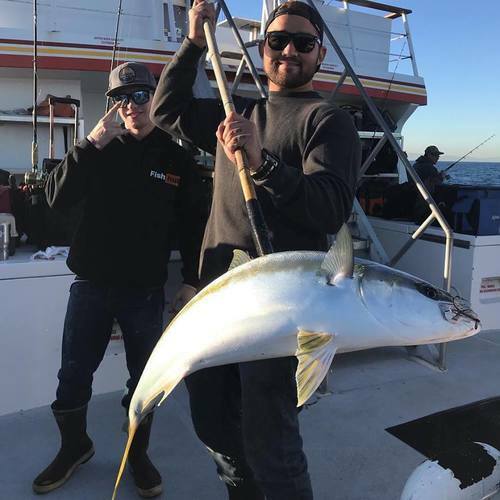 Our tackle shop is open from 5 am to 10pm, When fishing on our boats you will be greeted by professional captains and crew members with many years of experience. 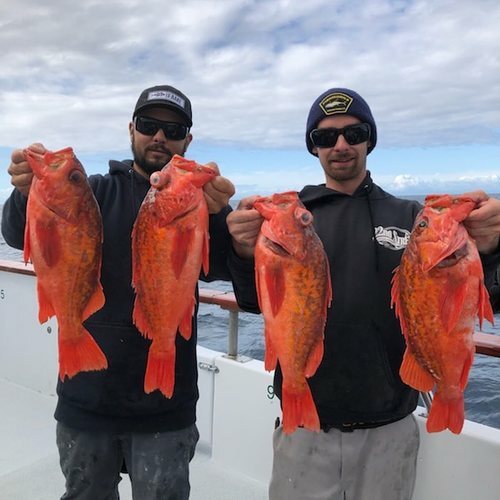 Their goal is to make your fishing trip as enjoyable as possible. 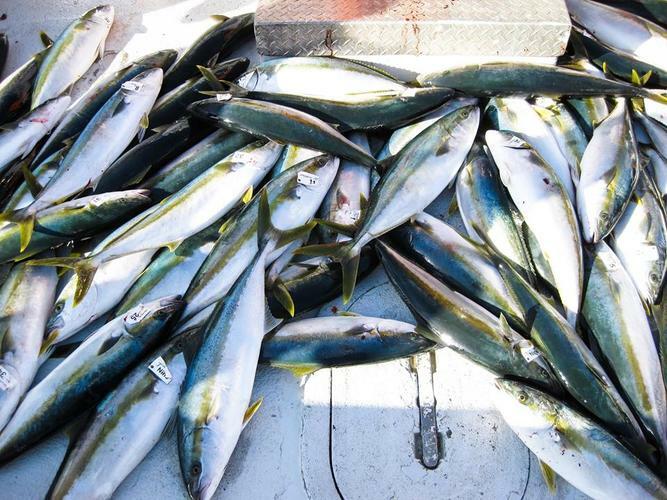 Our boats have state-of-the-art equipment and a galley on board with a variety of food, snacks, and beverages. 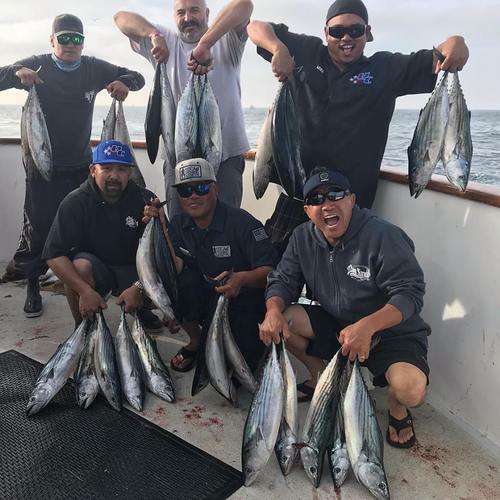 Monte Carlo half day switching to 10am to 4pm Monday thru Friday starting October 1st. 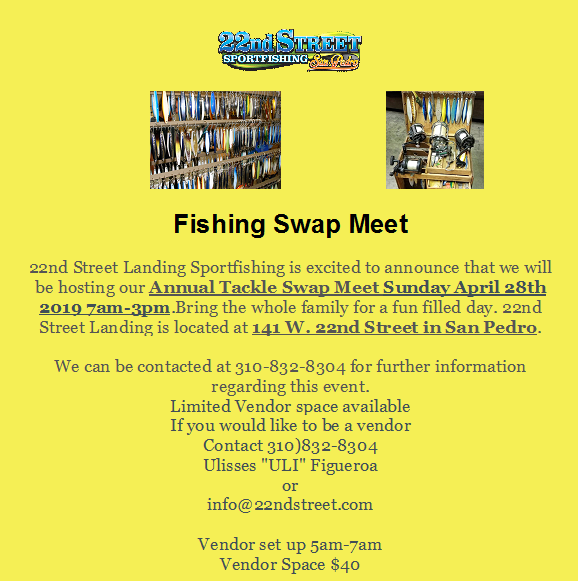 We have 13 Boats in the 22nd Street Sportfishing Fleet. 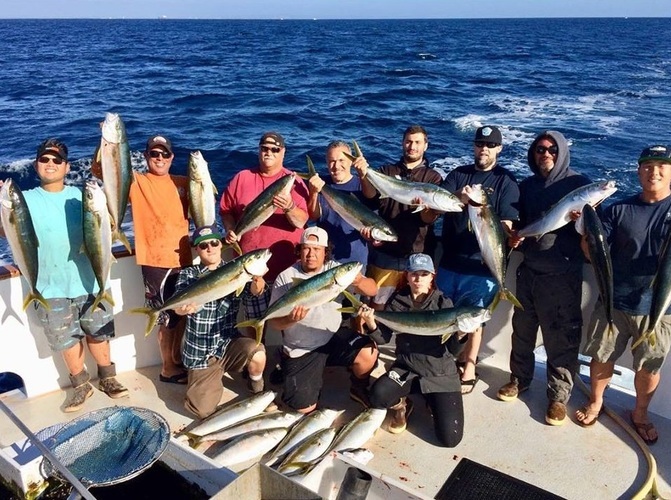 Our fishing fleet is staffed with the most experienced crews in the Southern California Fleet. 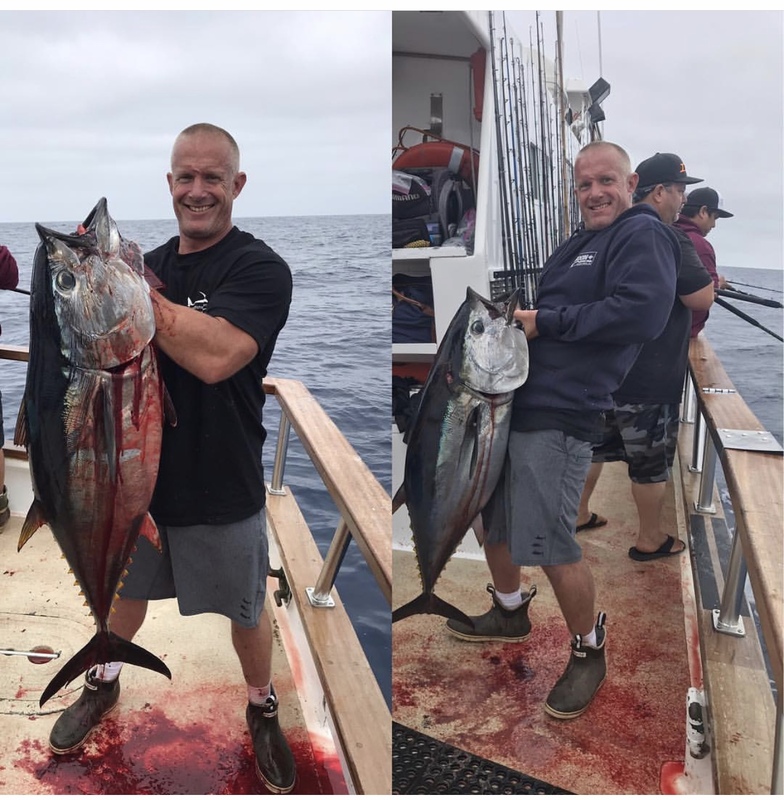 You are certain to have a successful trip aboard any of the charter boats from San Pedro California. 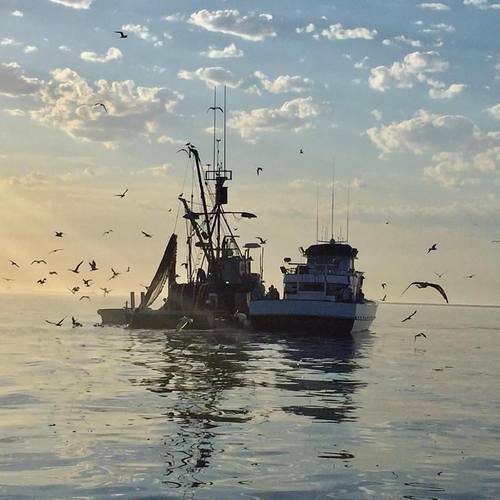 CA Fishing Licenses are required for all trips.